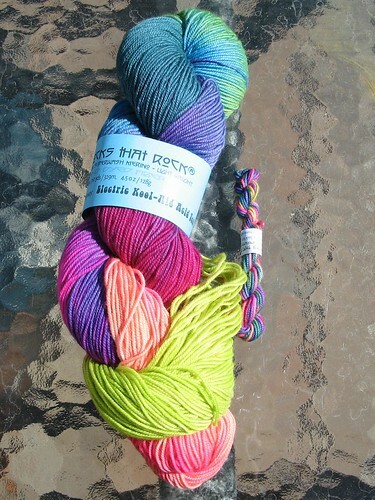 The March 2011 Rockin’ Sock Club kit from Blue Moon Fiber Arts was extremely colorful, to say the least! 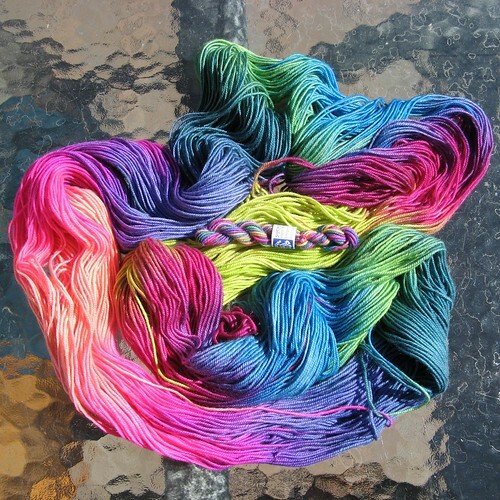 The colorway had a great name: Electric Kool-Aid Acid Test. Two great patterns, as usual, made it extremely hard to choose … but ultimately I decided on one and got to work. 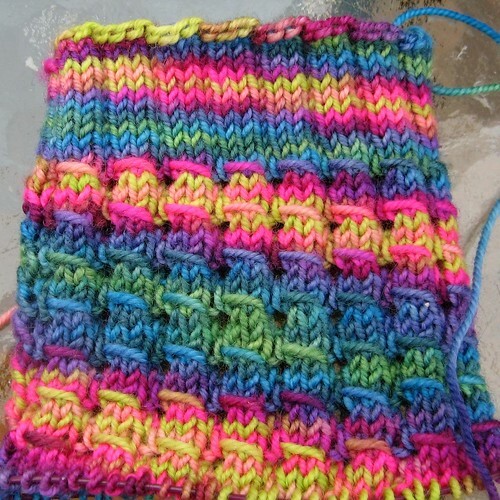 I love how the basic p1, k3 rib can get so excited with a slipped stitch here and there. 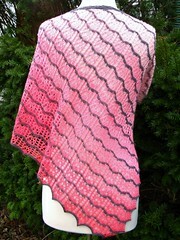 I’m proud to say I finished this kit’s socks *before* this month’s kit has even shipped! Even though they weren’t a “priority” project, they trucked right along. Inexplicably, the two socks pooled and flashed differently. This colorway is so wild, it really doesn’t matter. 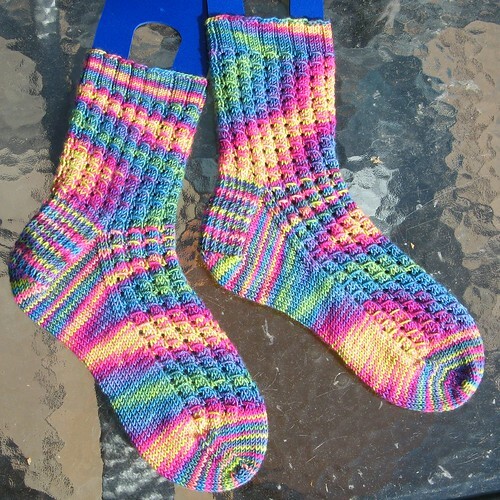 i am SO jealous, mine are still on the needles!!!! Two weeks ago I just had one cuff … they go fast, once you get going.